There is a way to do this, but you cannot use the default Android Phone and Messaging apps. That’s because the Project-FI Data SIM offers data ONLY, not a cellular network connection (which is where the conventional phone calls and messages reside). You can instead download two Google Apps, the good old Hangouts App for texting, and if you want to make phone calls, you also have to download the Hangouts Dialer app which is sort of a plug-in to the main Hangouts app. Then you have a decision to make. 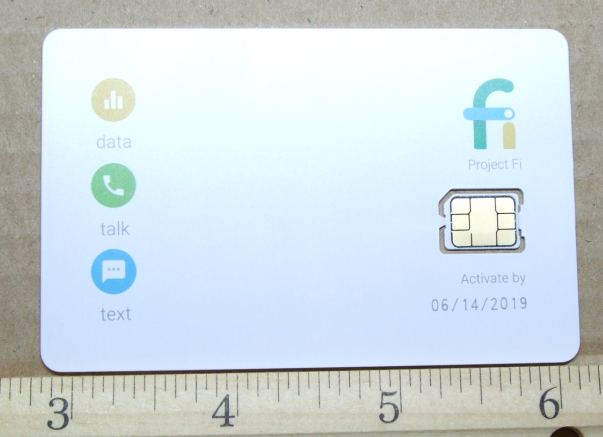 If you want to use your main Project-FI phone number as the phone number for the Data SIM phone, you can continue with the Hangouts and Dialer configuration. Having two phones connected to a single number can be a versatile setup for a variety of reasons (out of battery, lost or broken phone, etc). And you avoid paying a line fee, since Project FI charges you only for the data consumed! I configured the Hangouts App (not hard) by going to Settings and then clicking on the Google account of choice (the only one if you have just one running on the device) and activated Project FI for both “Incoming Phone Calls” and “Messages”. Everything worked except I couldn’t make phone calls. I could send and receive text messages. I could receive phone calls. But I just couldn’t make outgoing phone calls. This drove me crazy because this is a data-tier issue, not something related to the cellular network. After a couple of reboots and retries at various locations, I starting googling. It turns out I awasn’t the only one with this issue. 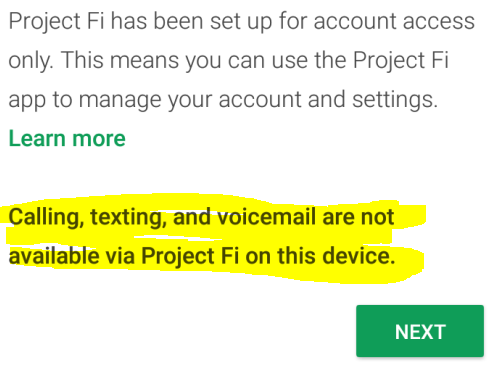 There is a thread of this in the Google Product Forums and the workaround is to into the Project FI settings and activate “International Features”. I did that (I had them both turned OFF before) and voila, I could make outgoing calls! Magic 🙂 I don’t know if it needs both or one of the two, I didn’t bother to test it.